Let's inspire the next generation of artists together with talks on lettering, freelance, and social media. 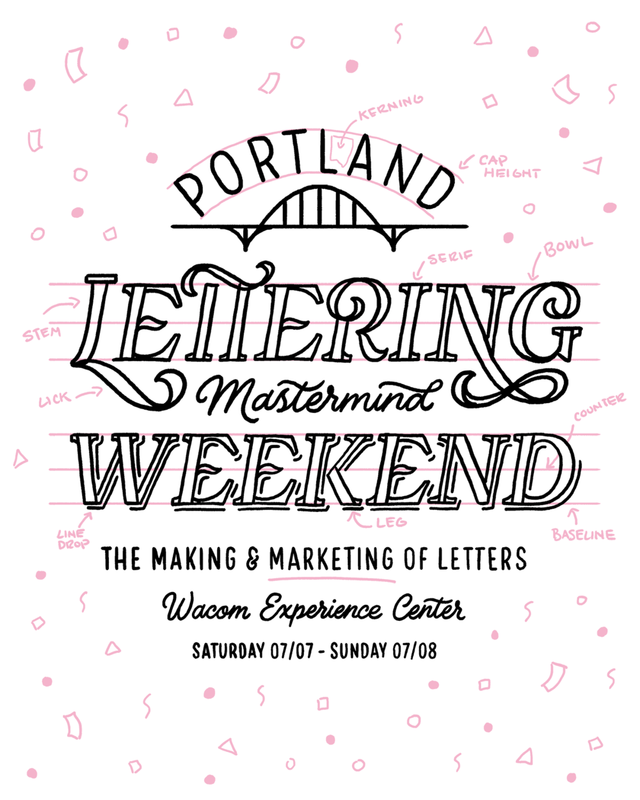 My biggest event yet for a 2-day workshop teaching you the making and marketing of lettering. 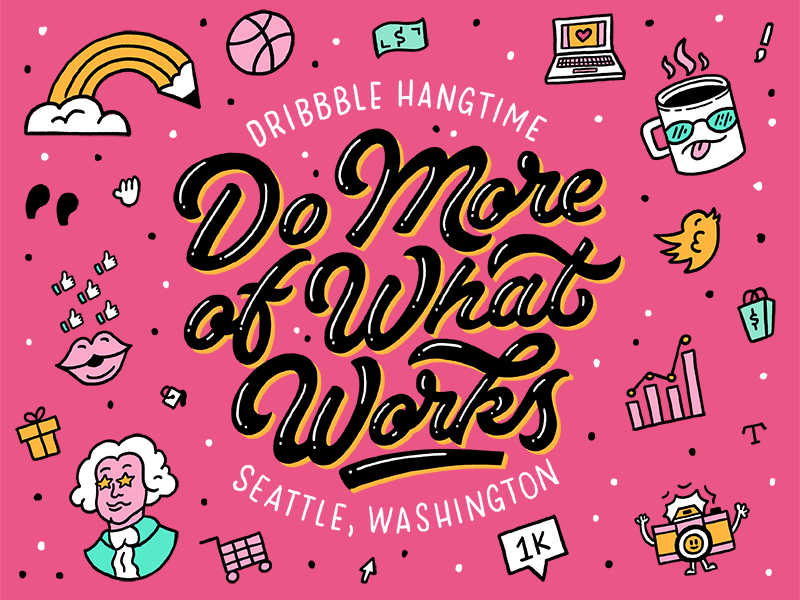 My first podcast with a live audience during Dribbble Hangtime Seattle with fellow designers Sasha Barr and Victor Melendez. A live stream late night show that features all kinds of creatives and artists living in Portland, Oregon. A talk on my process as a hand lettering artist and the power of side projects for Design Week Portland 2018 sponsored by Wacom. A talk on how to get over our perfectionist syndrome, post more often on social media, and beta test our projects for the perfect portfolio in Seattle, WA. Live lettering workshop on how to create a design from scratch while answering a ton of questions on how to make a living from letters. Hand lettering workshop to expand your portfolio with new type styles like Blackletter, Victorian, and Circus lettering to your design tool belt in Columbus, GA.
A special lecture and happy hour event sponsored by Wacom that helps illustrators make consistent income doing what they love most. An in-depth workshop teaching students how to create a hand lettered poster from start to finish at Full Sail University in Orlando, FL. A high level design panel discussion and gallery event with the Lincoln Design crew at the Wacom Experience Center in Portland, OR. I'd love to share my knowledge of lettering and freelance with your community! I've had the opportunity to teach all over the country at conferences, schools, and other large company events. It's a fun way to bring people together, learn a new skill, and hit the ground running with some newly found inspiration. Hire me to come and speak at your event starting at $500 + upfront travel expenses. Let's partner on the event by splitting ticket sales 60/40 + upfront travel expenses. Give me the details for your event including dates, location, class size, and lecture duration.